Download this special bundle for iBooks or your iPad, iPhone, Kindle, or Nook reader! It’s London, in 1757. Lord John Grey, a nobleman and a high-ranking officer in His Majesty’s army, has just witnessed something shocking. But his efforts to avoid a scandal are interrupted when the Crown appoints him to investigate the brutal murder of a comrade-in-arms. Obliged to pursue two inquiries at once, Major Grey finds himself ensnared in a web of betrayal that touches every stratum of English society — and threatens all he holds dear. 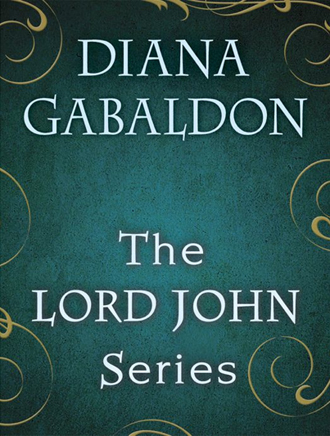 The stories of Lord John Grey continue in this collection of short stories. In “Lord John and the Hellfire Club,” Lord John glimpses a stranger at a gentleman’s club — and is drawn into a maze of political treachery and a dangerous underground society. In “Lord John and the Succubus,” English soldiers in combat are rattled by a lethal creature that appears at night, and Lord John is called to investigate. In “Lord John and the Haunted Soldier” Lord John is thrust into a baffling case that forces him to confront the prospect that a traitor is among the ranks of His Majesty’s armed forces. It’s been seventeen years since Lord John’s father was found dead, accusations of his role as a Jacobite agent staining the family’s name. Now, Lord John’s brother has mysteriously received a page of their father’s lost diary, convincing John that someone knows the Greys’ secrets. So he turns to the only man he can trust: the Scottish Jacobite Jamie Fraser. But when Jamie yields the missing piece of an astounding puzzle, Lord John must decide whether his family’s honor is worth his life. It’s the year 1760. In London, paroled prisoner Jamie Fraser has sworn off politics, fighting, and war. Until Lord John Grey shows up with documents that expose a damning case of corruption against a British officer. But they also hint at a more insidious danger. Soon Lord John and Jamie are companions on the road to Ireland, a country whose dark castles hold dreadful secrets, and whose bogs hide the bones of the dead. 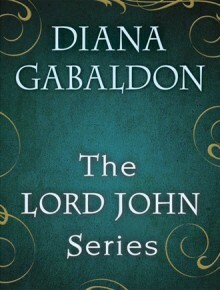 This special edition of Lord John Grey tales was released in ebook formats in the U.S.A. on April 8, 2013. This page was last updated on April 18, 2013.